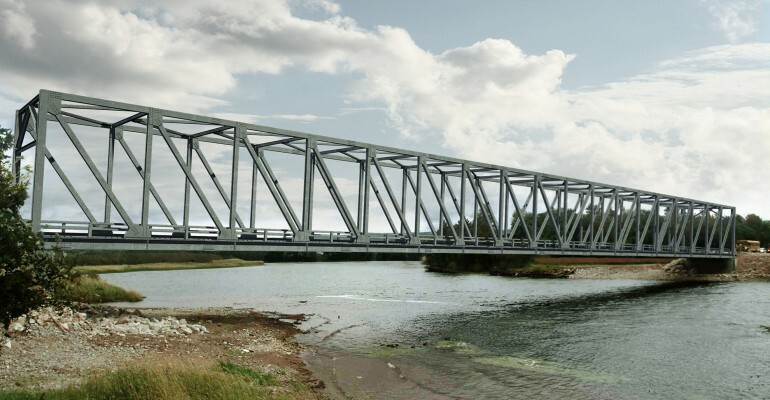 In an effort to provide innovative solutions to its customers, Canam-Bridges now offers a durable standard truss bridge that meets market demand for infrastructures. 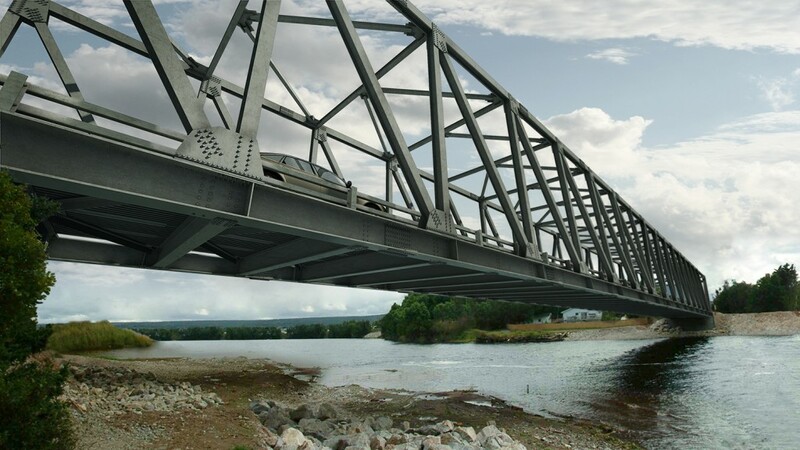 Available in lengths ranging from 240 to 360 ft. (73 to 100 m) and featuring a nominal lifespan of 75 years, these standardized bridges are predesigned so that fabrication can begin as soon as we receive an order, saving several weeks from a traditional bridge acquisition schedule. 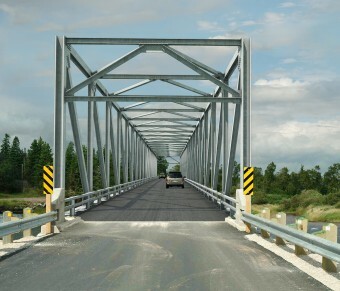 Due to its fully bolted components and light frame, this type of bridge is simple to erect. The heaviest component weighs 5 tons (4,500 kg). Its erection requires no heavy equipment and is designed to be erected by either the launching or conventional method. 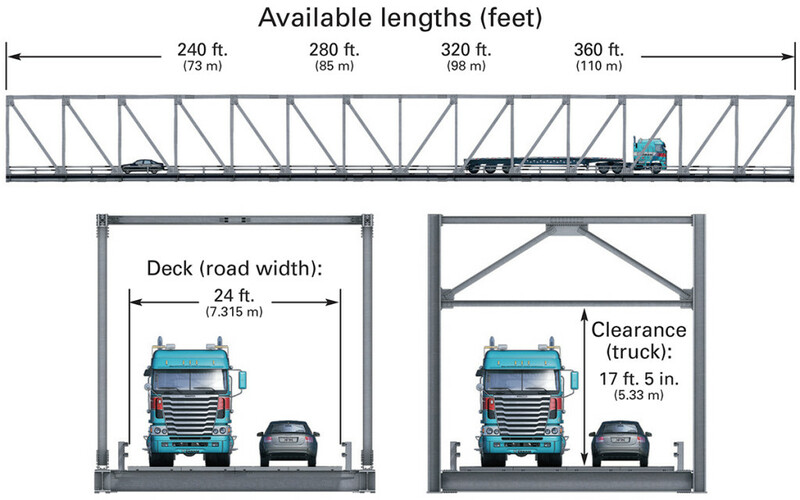 The bridge design complies with AASHTO and CAN/CSA-S6 specifications and comes with all bridge components, including the bridge deck with an integrated wearing surface, guardrails, structural bearings and an expansion joint. 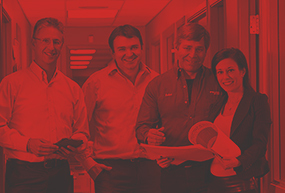 Contact our experts to identify which type of structure is best suited to your project. Canam-Bridges and Acrow Corporation, a leading international bridge engineering and supply company based in Parsippany, New Jersey, have signed an agreement to collaborate and cooperate in the sales and marketing of each company’s respective products. 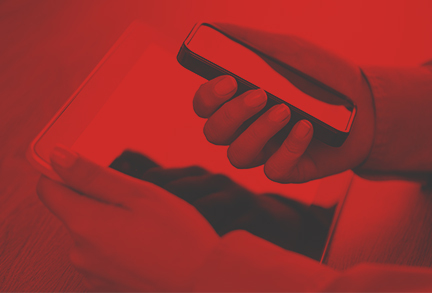 This partnership agreement helps to increase our visibility both in North America and on the international stage, and enables us to share our mutual expertise in order to better serve our customers and meet emerging market needs.